Thursday, Mar. 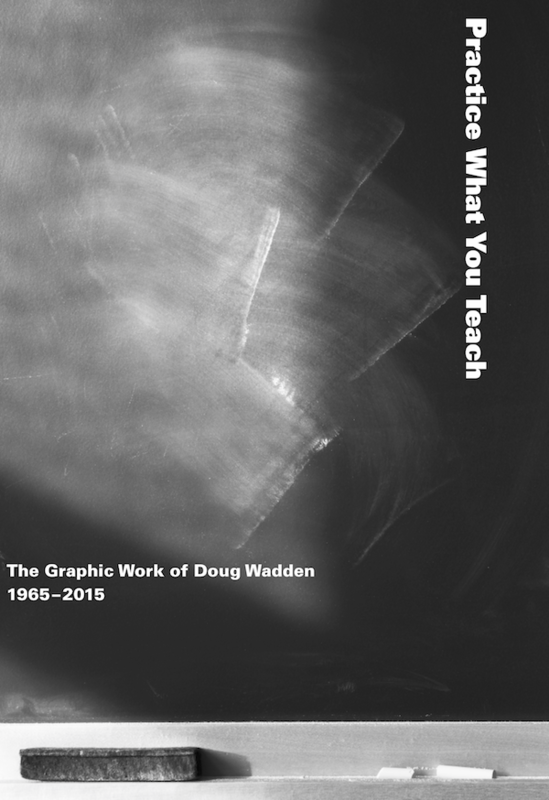 1, 2018, 7 – 8 p.m.
Based on his recent monograph, Practice What You Teach, Doug Wadden examines a 50-year career in design and education, reflecting on early influences, mentors, and values as well as the impact of evolving American politics, culture, and art. Starting with New York, R.I.T., Xerox, and modernist photography, to Yale, Buckminster Fuller, Armin Hofmann, and Norman Ives in the 1960s, and continuing with Seattle, the University of Washington, and projects and clients in the 1970s, 80s, and 90s, the lecture will connect early experimental work in photography, printmaking, and video with teaching, learning, and graphic design practice. Doug Wadden was born in New York and is a graduate of the Rochester Institute of Technology and Yale University. He is Professor Emeritus of Design at the University of Washington where he held the Marsha and Jay Glazer Endowed University Professorship. A member of the Alliance Graphique Internationale and a Fellow of the AIGA, he has won numerous national and international awards for his work.